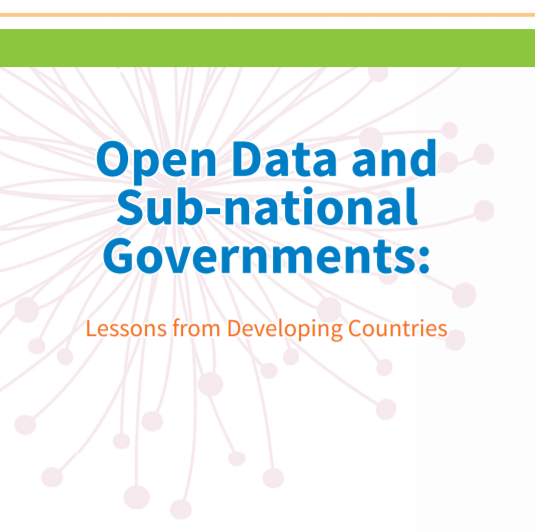 Data Power for Public Good: Three key considerations for improving lives through open data | The Forum Network, hosted by the OECD: Shape ideas. Shape policy. Shape the Future. Reformers in governments around the world are learning to leverage data insights to foster transparency and create efficiency. They have come to appreciate how effectively data can be used to improve public policies and social spending. They are increasingly leveraging its potential to streamline bloated bureaucracies and curb corruption. In bureaucracies, data is power. 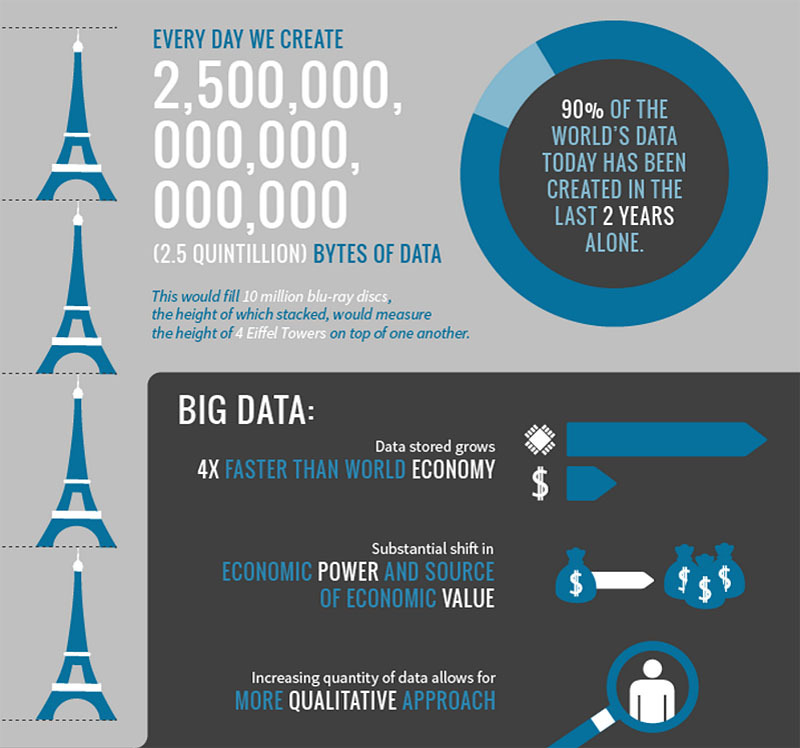 Our increasingly connected societies and the rising digital economy are producing a wealth of data: more than 2.5 quintillion bytes of data are produced every day. Indeed, within this new economy is another intangible one, powered on data as an asset. Governments, too, are producing and releasing an increasing amount of data in open format so that it can be reused to generate public value and foster economic growth. This profusion of data, combined with increased analytical capabilities, computing power and new technologies, provide new tools to improve the machinery of government and the delivery of public services. New technologies generate an enormous amount of new data that can be mined to generate new intelligence about the machinery of government, to improve its performance and bridge the often-large gap between the making of policies and their effective implementation. For this to happen, data must good quality, be released in a timely manner and be accessible in a format that can be leveraged. The experience of Latin America shows that making data work for the public good requires addressing key issues about the governance of data. First, progressive governments must open their data by default and ensure that this data is of good quality and released in a timely manner so that it can feed into the policy cycle. By opening up their data, reformers can circumvent the political economy challenges of the governance of data within government agencies, often operating in silos and not sharing their data. This new data allows civic activists and regulators to bring governments to account in more effective ways than in the past by using artificial intelligence and predictive analytics. In recent years, as part of the open government agenda, Mexico, Chile and Colombia have been opening up their data through online portals that integrate an increasing number of databases in a reusable format. Cities have often led the way, such as Mexico City, Rio de Janeiro, and Buenos Aires. Progress has nevertheless been unequal in Latin America. According to the Open Data Index – which measures the disclosure of government data – Brazil, Mexico, Colombia, Argentina and Uruguay have advanced most. Reformers have to ensure not only the consistent application of standards for the production and release of public data by government agencies but also the enforcement of open data policies and rules on the sharing of data between them, guaranteeing the reliability and security of personal data. Actually, by opening data, reformers can create incentives within agencies to improve it, especially in subnational governments where the quality of the underlying data tends to be poorer. For example, in 2016 the Colombian government suspended transfers to 125 municipalities that had not provided it with quality and timely spending data, as required by law. Most discrepancies were resolved rapidly thereafter. Second, governments must disclose their data in an accessible and understandable way so that it can be used effectively. In Latin America, advanced visualisation techniques are proving particularly effective for this purpose. In Mexico, the ministry of finance has expanded the breadth and depth of open budget data through its state-of-the-art fiscal transparency portal, that includes data on government contracts, public works and subnational transfers. Geo-referencing technology is helping Mexico, Colombia and Paraguay monitor corruption-prone infrastructure investments. Audit agencies in Chile and Peru are using this technology to improve the control of public works. Cities, such as Buenos Aires with its open public works portal, have often taken the lead. Mexico City has become the first city to disclose its contracts in open format. Savvy civic-tech such as datasketch in Colombia use this information to raise red-flags. Behind these platforms are radical changes in the business processes governing bureaucratic routines and the governance of data. Third, data must be used effectively if it is to generate impact and shape policies. In Latin America, as in other regions, the challenge is gradually shifting from disclosing data to using it effectively. After a first generation of reforms focusing on increasing access to information-driven transparency concerns, second generation reforms are emphasising the actual use of data to enforce accountability and improve services. According to the Open Data Barometer that assesses the use of government data, Mexico has advanced most in promoting the use of data while progress in Uruguay, Colombia, Brazil and Argentina is mixed. Several countries have experimented with innovation labs embedded in government agencies, often at the centre of government, as in Chile. These structures join data scientists with policy practitioners that understand the challenges that bureaucracies are confronted with. “Hands in the data”, an initiative of the Development Bank of Latin America, is seeking to facilitate such synergies. 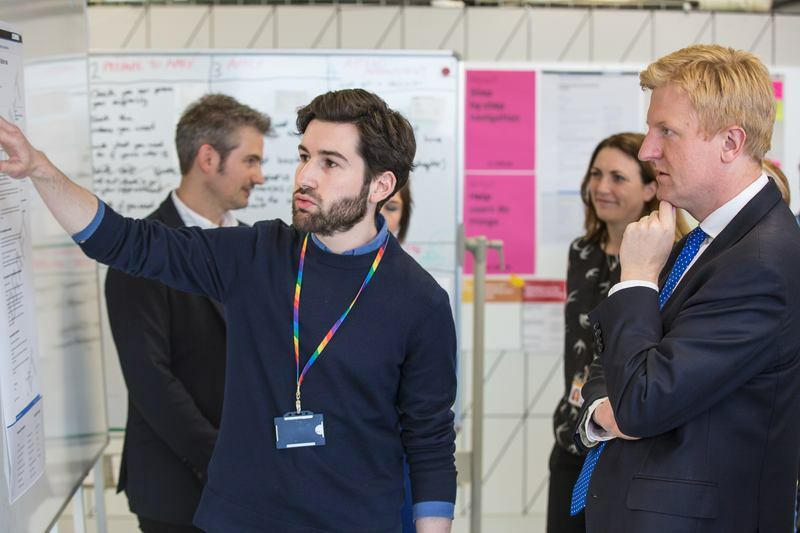 In other regions, especially in Europe, governments have embedded digital specialists in government agencies for longer periods of time, as in France, and set-up catalyst funds to address clearly-defined challenges from across government, as in Britain and Denmark. However, reformers need to be clear what purpose they are seeking to achieve by opening up specific databases, whether improving government transparency or optimizing service delivery. It is important to open up data by default, but also to do this with a purpose. This explains why databases most critical to curb corruption – such as property registries, procurement data, and company registries – are more challenging to release, as noted by the Open Data Charter. Progressive governments can work with civic-tech start-ups to uncover once-hidden practices and patterns, but also gain insights on how to improve service delivery. For example, the observatory of public spending of the Brazilian transparency ministry has detected irregular practices in social benefits programmes, leading to important savings and policy changes, simply by cross-referencing databases that previously could not be connected. Tax authorities and customs agencies have been pioneers in the use of data intelligence, allowing them to predict patterns of tax avoidance and stimulate the impact of legislative changes on taxpayer behavior. In Britain, they are now increasingly savvy at using artificial intelligence and predictive analytics to detect and deter tax evasion. A key lesson emerging from Latin America is that, for data to have an impact, it must be used effectively. This is why initiatives such as the Data Science for Social Impact of the Rockefeller Foundation, launched at the World Economic Forum in Davos earlier this year with a USD 50 million commitment, is so important to unlock the power of data for public good: because data that is not used is meaningless. What are the best-fit governance models to govern data in the public sector and generate trust in government data? How can we ensure the quality, reliability and security of government data, including guarantees of privacy, to avoid misuse in times of increasing cyber-insecurity? What are the key policy levers to create enabling environments for “data intermediaries” of data-driven govtech start-ups to inform policy, foster accountability and improve services? All of the discussions you have on the Forum Network inform our thinking for the OECD Forum event each year – respond to Carlos's questions and give your opinions by commenting to help us co-create the agenda! Carlos Santiso has a long career working on improving lives in fragile states and emerging economies in Africa and the Americas by furthering democracy, strengthening governance and fighting corruption. In the past two decades, he has worked in over two dozen countries in various capacities in multilateral development banks, bilateral aid agencies, and policy think tanks. He is the Director for Digital Innovation in Government at the Development Bank of Latin America, based in Colombia. He previously headed the Innovation for Citizen Services Division of the Inter-American Development, which he joined in 2011 to manage the Institutional Capacity of the State Division; as Sector Manager for Governance at the African Development Bank between 2007 and 2011, as governance adviser to the British government aid agency between 2002 and 2007 and as senior operations officer at the International Institute for Democracy and Electoral Assistance between 1996 and 2000. He started his career as an adviser at the French Prime Minister’s Office between 1995 and 1996. He is a founding member of the board of adviser of the Centre for Democratic Governance in Burkina Faso. 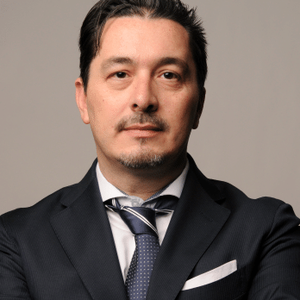 Carlos holds Ph.D. in comparative political economy from Johns Hopkins University (2006), a master in international economic policy from Columbia University (1995) and a master in public policy from the Institut d’Etudes Politiques of Paris (1993). He has written extensively on digital government, democratic governance, development finance and foreign aid. As per the new Data Privacy European Law, the consistence of the assessment under the terms of GDPR is known as GDPR appraisal. To seek after the routine of GDPR appraisal is currently vital for each association. This surveys an association to enhance the results and distinguish the zones where GDPR are required. In straightforward words, it gives a point by point diagram where lacking exists in an organization and when to consent in General Data assurance and Regulations ought to apply.